As I write this, a major snowstorm is beginning. The state is effectively shut down for tomorrow, and almost everyone will be home "enjoying" a snow day. 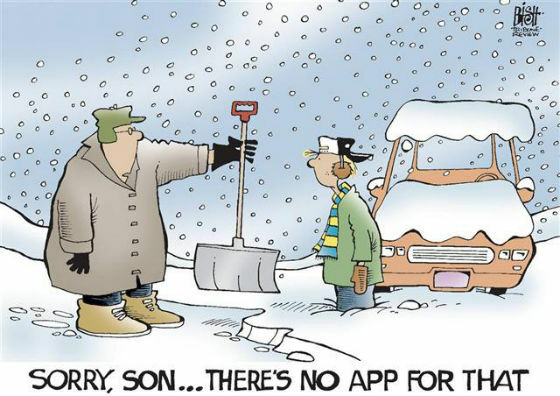 But as adults, what is a snow day, anyway? Let's explore the fantasy and the stark reality of being home all day due to Mother Nature. FANTASY: A snow day! Everyone is home, tucked in to blankets, in pajamas all day, sipping hot chocolate and making snow angels! 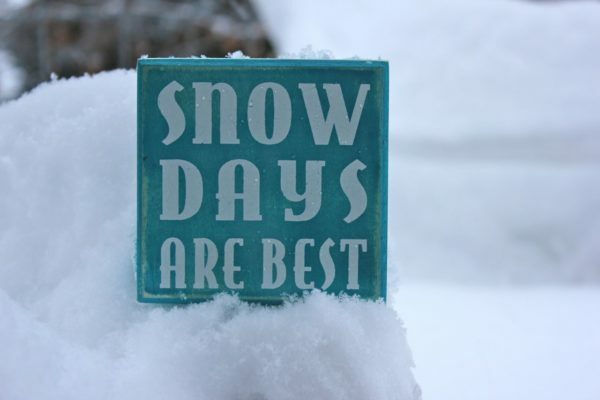 There's nothing better than a snow day! REALITY: Oh no, a snow day. No school, no work, just an endless chorus of "I'm booooooooored!" and squabbles over the TV remote, squabbles over who is bothering who, squabbles over who had the sled last, and the plows haven't been through so we're all just stuck here LOOKING at each other. This is a nightmare. FANTASY: The family gets together to dig out the driveway in a lovely show of teamwork. REALITY: The minute you get a path going out the door, the kids trample it, knocking even more snow onto the path than was there in the first place. FANTASY: Snowmen and sledding and snowball fights, hooray! REALITY: Snow down the back of a snowsuit, lost mittens, lots of pitiful crying that "I'm too cold! I'm wet! I want to come inside!" FANTASY: A roaring fire, family snuggled together enjoying the time together. REALITY: The never-ending sound of computer games, arguing, and fighting over a toy no one has played with in six months but somehow cannot live without now. FANTASY: Cooking all day, making comfort food to keep your family warm and happy. REALITY: Stark terror that the pizza place can't get to you because the roads aren't plowed. FANTASY: Relaxing with a glass of wine by the fire. REALITY: Clinging to a bottle of wine by the space heater as everyone in your house screams at each other. Have a lovely snow day, everyone, and may the odds be ever in your favor!